An arrest warrant has been issued for a Newfoundland fishing vessel after another subsea telecommunication cable was broken last summer off the coast of Atlantic Canada. In a statement of claim filed last week in federal court, Nova Scotia-headquartered Eastlink accuses the vessel Oceans Joy of damaging its cable, costing the company nearly $1 million in repairs. It was at least the fourth time an underwater cable was snapped by a fishing vessel in the region between May 2013 and July 2014. Subsea cables are essential pieces of internet and phone infrastructure that connect the globe, however damage by fishing continues to be a problem. There are roughly 200 cable "faults" a year around the world, most of them caused by fishing gear and anchors, according to Doug Burnett, a New York-based cable law expert. Century-old Maritime law allows cable companies to make claims against those vessel owners, he says. "It's an important one. Not only to recover the cost of repair, but really to act as a deterrent," says Burnett, a lawyer with Squires Patton Boggs and adviser to the International Cable Protection Committee. The process of determining which vessel is at fault has been made significantly easier with the growing use of ship trackers such as the Automatic Identification System. But fishermen also have recourse if they accidentally snag a subsea cable, Burnett says. If the crew cuts the trawl or anchor to preserve the cable, the vessel owner is entitled to compensation from the cable company. "If it's a proper sacrifice, then the cable owners have to reimburse or indemnify the fishing vessel owner for the cost of his gear or his anchor," Burnett says. In the latest case to reach court in Halifax, Eastlink says on July 17, 2014, its network operation centre detected the loss of "optic signal," between Rose Blanche, N.L., and Sydney, N.S. A segment its Persona cable made up of 24 optic fibres sheathed in armour was completely severed. The break was fixed by International Telecom, a cable repair company out of Halifax. Eastlink says the total cost was $972,696.72, according to its statement of claim. 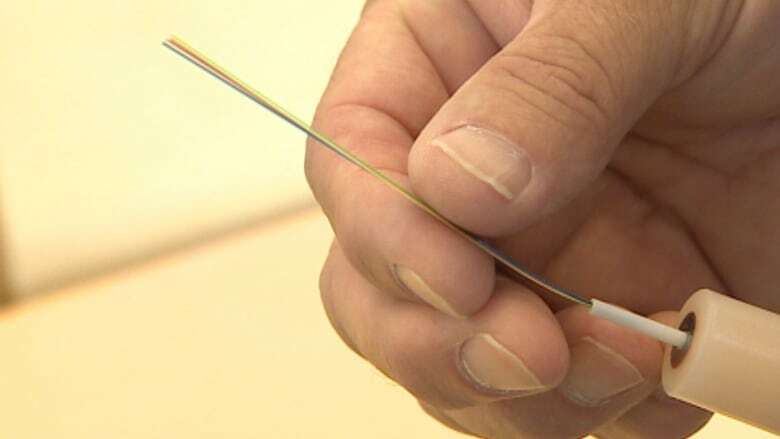 A week after the break, Eastlink says it was contacted by John Wayne Coleman, the owner of the Oceans Joy, who told the company his fishing gear had contacted the cable. Eastlink says the Persona cable is properly marked and charted and accuses the owner, master and crew of the Oceans Joy of negligence. "According to the accompanying Notice to Mariners, vessels are to avoid anchoring in cable lanes which appear on any nautical chart," the statement of claim says. The statement of claim also alleges those on the vessel "put out its otter trawl in an unsafe and improper location, in close proximity of Persona's undersea cable, when they knew, or ought to have knows, that such action could occasion damage to the plaintiff's cable." Eastlink says service for customers was not disrupted. The case is one of a number of cable damage claims that have ended up in court in the last year. Last March, Eastlink launched a lawsuit against the Panamanian owners of the bulk carrier John 1, although it has since discontinued court action. The vessel lost power, running aground and dragging its anchor over a fibre optic cable three kilometres off the coast of Rose Blanche. And Greenland's largest telecommunications company is suing the owner of a Nova-Scotia registered shrimp trawler, the Acadienne Gale II. Tele Greenland accuses the vessel of twice snapping its cable in waters northeast of Newfoundland. It's a claim the owner of the Acadienne Gale II denies.